Russian orthodox church, San Remo. 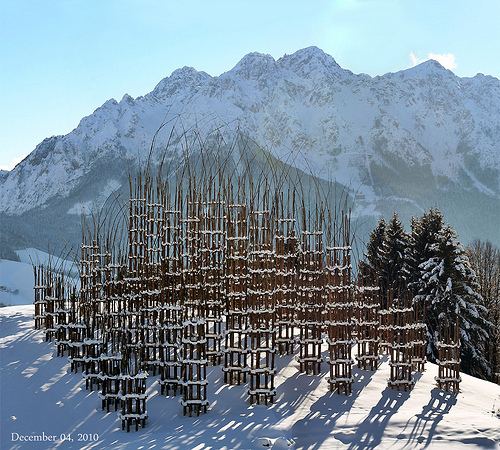 Photo by Ronile35. 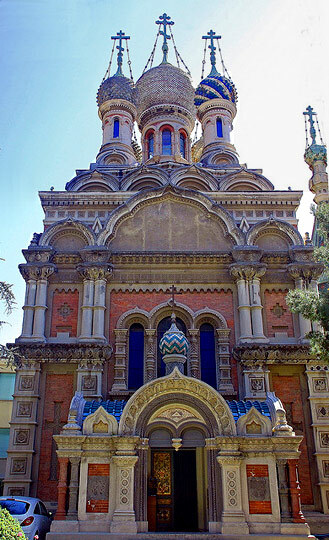 The multicolored Russian Orthodox church of Christ the Savior, St. Catherine and St. Seraph was built for the Russian nobility that, following the example of Tsarin Maria Alexandrovna, had chosen the little town of San Remo on the Ligurian Riviera as their winter residence in the 19th century. The church was built after a design by Alexey Viktorovich Shchusev, the same architect who also designed Lenin’s mausoleum in Moscow. 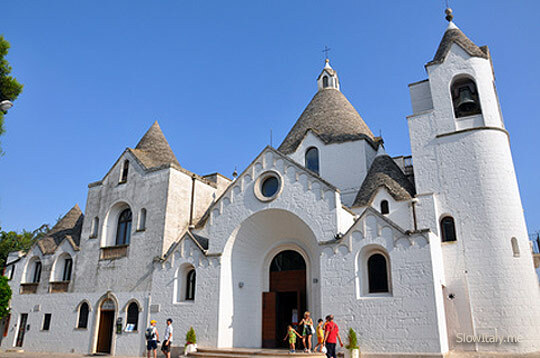 Twentieth century church modeled on the traditional trulli of the Murge area in Puglia. 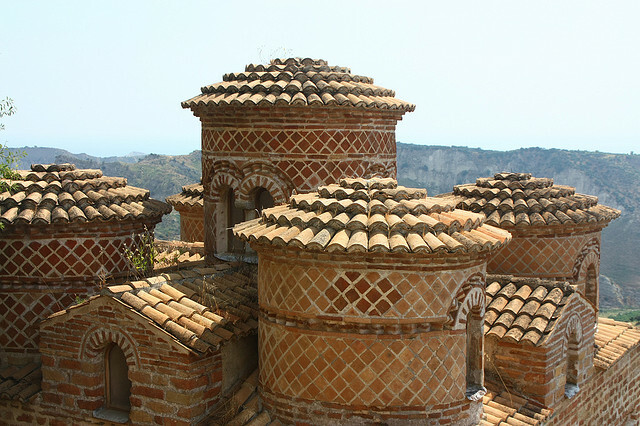 Almost camouflaged, clung to the slopes of the moutain, the Cattolica church in Stilo is one of the most noteworthy examples of Byzantine architecture. 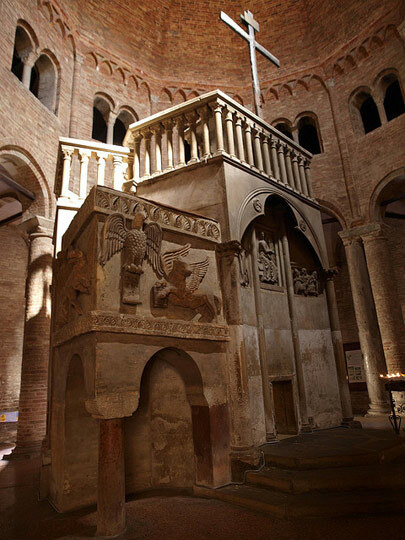 It was built in the 9th century and testifies to the “Byzantisation” of the Italian peninsula, through the military campaigns of reconquest conducted by Constantinople. 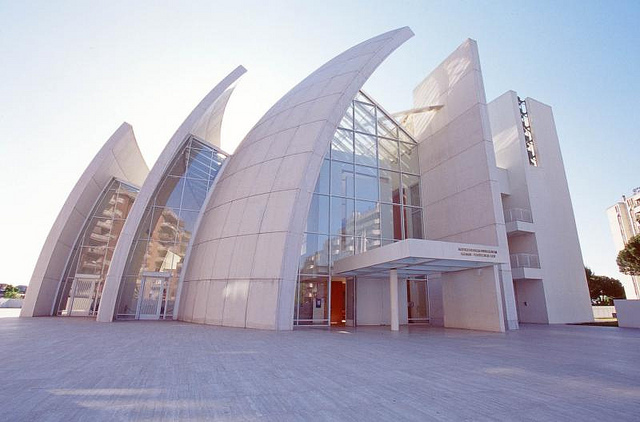 Formerly known as the Chiesa di Dio Padre Misericordioso, the jubilee church is located in the Tor Tre Teste area of Rome. 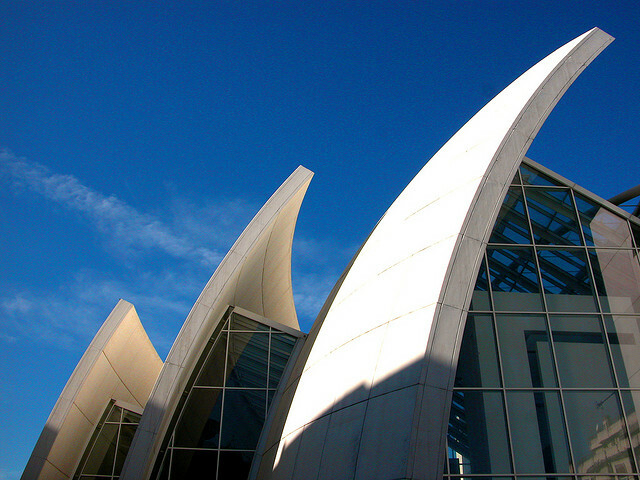 It was designed by the American architect, Richard Meier as a mark and symbol of the Grand Jubilee of 2000. It takes on the idea of a ship that sails the seas of the Third millennium, while the three shells discretely represent the Holy Trinity. As a trivial note, the church appears in the video game Hitman: Blood Money, although there are differences in lay-out. 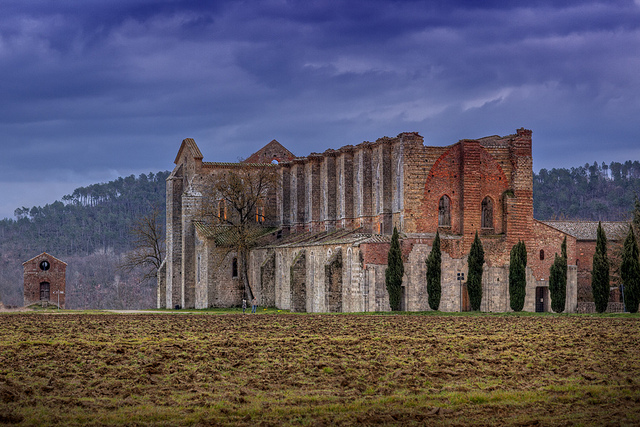 The roofless Gothic Cistercian Abbey was the first Gothic church in Tuscany, built by the monks from 1224 to 1288. 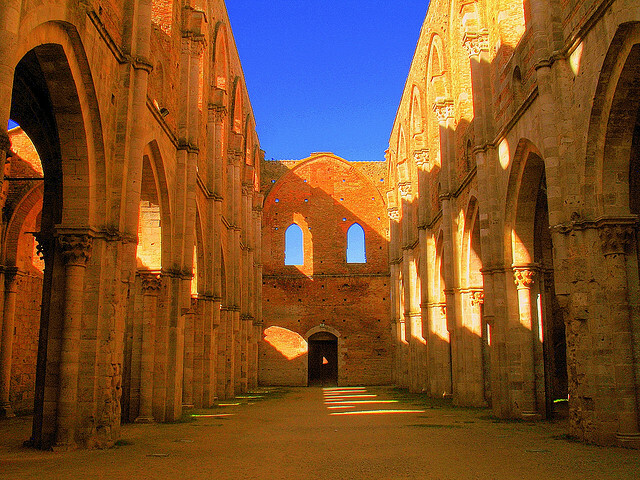 Dedicated to St Galgan, the church was erected to house the rock where in 1180 Galgano Giudotti plunged the sword turning it into the symbol of the cross. For centuries, the sword was considered to be a fake, but research by the Pavia University in 2001 dated its metal to the 12th century. The metal alloy and the style of the sword appeared to be compatible with a medieval origin. 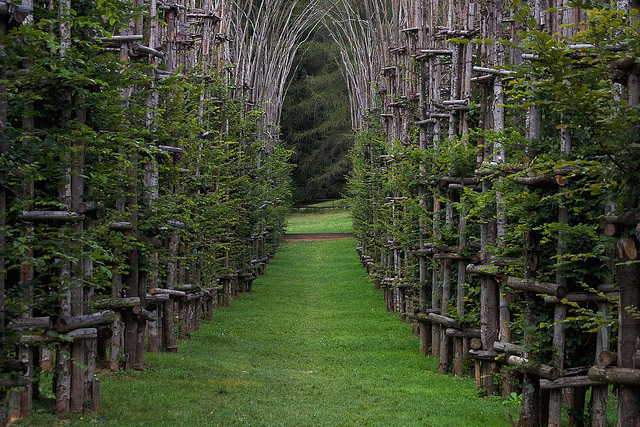 The tree cathedral, designed by the Italian artist Giuliano Mauri, is a real-size cathedral made of 42 wooden columns, each of which contains a young beech tree, forming a basilica of five aisles. 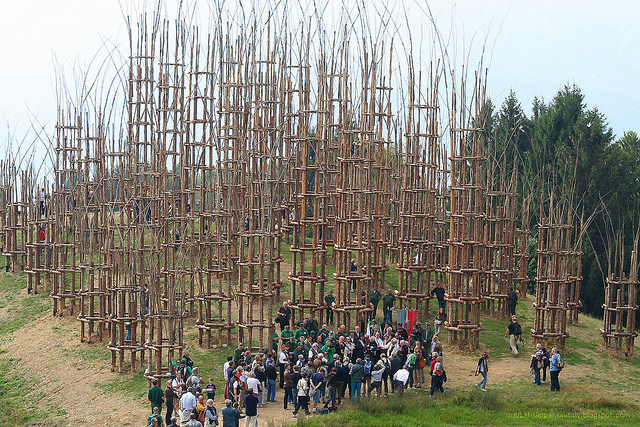 With the time the growing trees will take the place of their natural “cages” and eventually replace them entirely, point at which the structure will really become a ‘living’ cathedral. 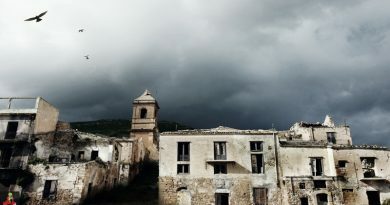 The bell tower is the only part that remains visible from the Church at Curon Venosta, a small Northern Italian town flooded to make way for an artificial lake. 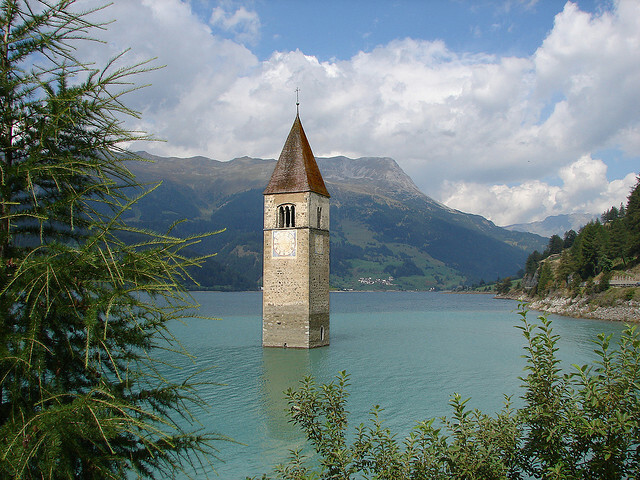 Depending on the water level, the semi-submerged church becomes more or less visible and when the lake freezes, the old bell tower can be reached on foot. Church of the Holy Sepulchre, inside the Basilica of Santo Stefano, containing the shrine of St. Petronious, the town's patron saint. Photo by mararie. 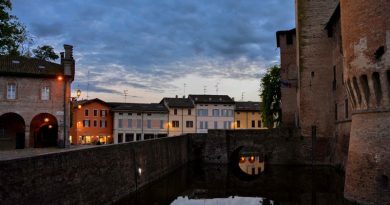 The Basilica di Santo Stefano, locally referred to as Sette chiese (seven churches), is an ensemble originally comprising seven churches, of which only the Church of the Crucifix (the current entrance), the Church of the Holy Sepulchre, the Church of S.S. Vitale e Agricola and the Church of the Trinity remain. 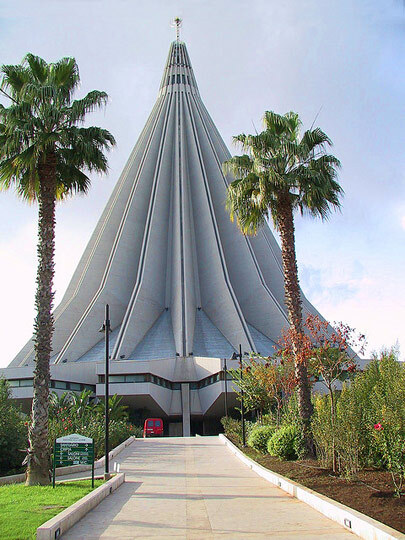 Santuario Madonna delle Lacrime, Sicily. 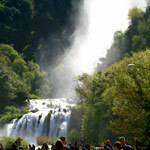 Photo by MeRyan. 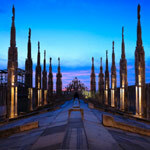 The Duomo of Milan deserves a space on this list, not only because of its unrivaled beauty, but also for its amazing numbers: it is the second largest catholic cathedral in the world (second only to Seville’s) and the fourth largest one in the world. 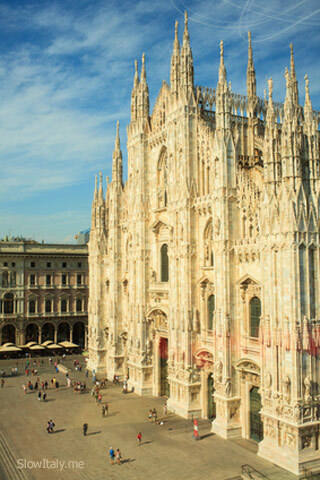 There are more statues on Milan’s cathedral than on any other in the world: 3,400 statues in total (including 2,300 external statues), representing a total weight of 325,000 tons! It also holds another record in terms of duration of the building works: it took more 520 years to complete, with a surprisingly consistent result. 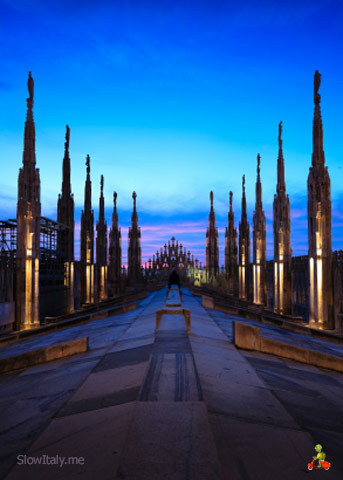 Roof of the Duomo of Milan at twilight. Photo © Hanquan Chen. Photo credits (top to bottom): San Remo Church by Ronile65; Jubilee Church by Frengo2.0 and jacqueline.poggi; San Galgano by Gengish and Giuseppe Moscato; Living tree cathedral by Rubber slippers in Italy and Obliot; Drowned church by Maxey; Basilica of Santa Stefano by Mararie; Santuario Madonna della Lacrime by MeRyan.